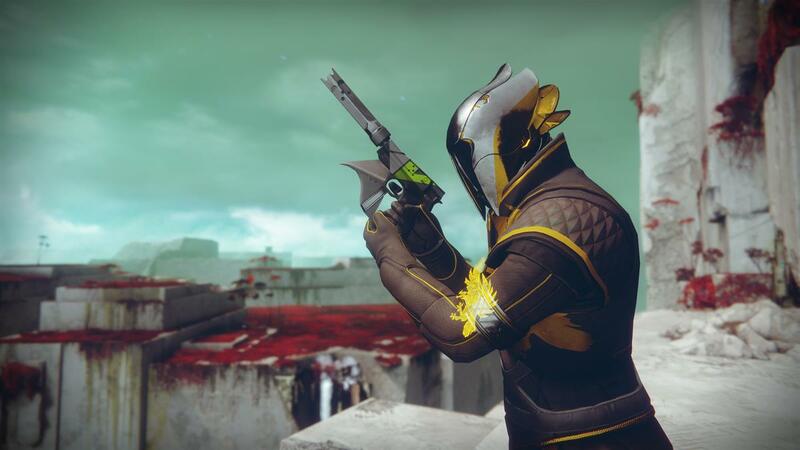 Having some powerful and devastating weapons is all well and good in Destiny 2, but you're still going to want some elite armor items for your character. In this Destiny 2 best Exotic armor guide, we'll be walking you through how to get your hands on the single best armor item in the base version of the game. We have a wealth of additional Destiny 2 guides here at USgamer, all of which can be found in our Destiny 2 guides walkthrough hub. We have guides on every Exotic weapon in the game, as well as full walkthrough to all Strikes that we've completed so far. In case you weren't aware, having higher level items like Exotic armor can actually increase your overall Power level for your character. This Power level is separate from your main character level, and effectively acts as a test as to whether you can enter endgame modes like Nightfall Strikes and Raids. So, if you want to level up your character to the maximum and experience all that Destiny 2 has to offer, you need to be on the lookout for all the armor items below. We might not have a suitable image for each Destiny 2 Exotic armor item at the current time, but we will be listing all the perks for each item right beside the armor piece. Insurmountable Skullfort (helmet) - Kills with Arc melee abilities trigger health regeneration, as well as restoring melee energy. Mask of the Quiet One (helmet) - This helmet grants ability energy when damaged, and health regeneration when inflicting Void damage. ACD/0 Feedback Fence (gloves) - Getting melee kills will build up explosive energy, and then getting hit by an enemy melee attack will unleash this energy in a devastating explosion. Doom Fang Pauldron (gloves) - Shield bash melee kills to recharge your shield throw. Melee ability kills recharge Sentinel Shield super. Synthocepts (gloves) - Increases melee lunge range, improves damage when surrounded. Actium War Rig (chest) - Steadily reloads a portion of your equipped auto rifle's magazine from reserves. Crest of Alpha Lupi (chest) - Generates an additional orb of light from Super Abilities, and a healing pulse when barricade is activated. Hallowfire Heart (chest) - Improves the recharge rate of your Solar abilities while Hammer of Sol Super Ability is charged. Dunemarchers (boots) - Increased sprint speed, sprinting builds up a static charge. After melee attacking an enemy, the charge will chain attack damage to nearby enemies. Lion Rampant (boots) - Grants ease of movement while airborne. Peacekeepers (boots) - Automatically reloads stowed submachine guns, and allows you to ready them instantly. Crown of Tempests (helmet) - Arc ability kills increase the recharge rate of your Arc abilities. Eye of Another World (helmet) - Highlights priority enemies and improves the regeneration of your grenade, melee, and rift abilities. Nezarec’s Sin (helmet) - Void kills grant ability energy. Skull of Dire Ahamkara (helmet) - Nova Bomb kills grant super energy, and provides additional damage resistance. Karnstein Armlets (gloves) - Melee attacks grant bonus health recovery and ability energy. Sunbracers (gloves) - Increase grenade energy on melee hits, increases the duration of solar grenades. Winter's Guile (gloves) - Killing enemies with melee attacks temporarily increases your melee damage. Starfire Protocol (chest) - Grants an extra fusion grenade charge, fusion grenade kills grant Rift energy. 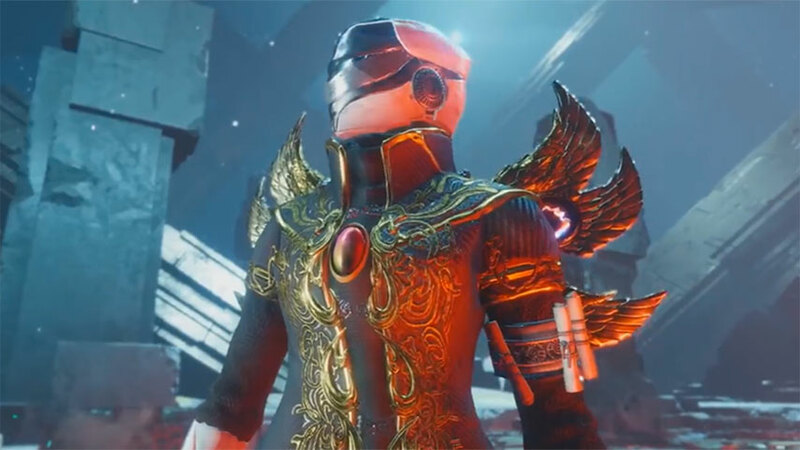 Wings of Sacred Dawn (chest) - While Dawnblade Super Ability is equipped, aiming down sights while airborne will hold you in place for a short time, and precision hits extend this effect's duration. Lunafaction Boots (boots) - Your Rift abilities will automatically reload all allies' weapons. Transversive Steps (boots) - Move faster and automatically reload energy weapons while sprinting. Celestial Nighthawk (helmet) - Changes Golden Gun Super Ability to fire a single shot, which causes enemies to explode. Foetracer (helmet) - Visually marks any targeted enemies. Knucklehead Radar (helmet) - Radar will stay on while you're aiming down the sights. Mechaneer's Tricksleeves (gloves) - Sidearms ready and reload faster. Young Ahamkara's Spine (gloves) - Increases Tripmine grenade duration and marks all enemies damaged by the blast. The Dragon’s Shadow (chest) - After dodging, increases movement speed and weapon handling for a short time. Lucky Raspberry (chest) - Arcbolt grenade has an increased chance to chain to further enemies, and has a chance to completely recharge each time it deals damage. Raiden Flux (chest) - Successive attacks with the Arc Staff Super Ability increases its damage and duration. Lucky Pants (boots) - Increase ready speed for Hand Cannons, and improves initial accuracy. Orpheus Rig (boots) - For each enemy Tethered by the Shadowshot Super Ability, you gain ability energy. ST0MP-EE5 (boots) - Improves jump height, increases sprint speed and slide distance. If you need anything else on Destiny 2, then be sure to check out any of our additional guides here on USgamer, including every Exotic weapon we know of (including how to get the Rat King in Destiny 2 and how to get the Mida Multi-Tool in Destiny 2), as well as our complete Destiny 2 Leviathan Raid guide. 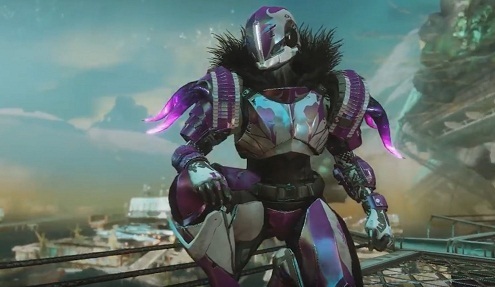 Be sure to keep checking back on this Destiny 2 Exotic armor guide in the future, as we'll be listing the best methods to get all the above armor items, as well as listing any additional Exotic armor pieces that Bungie adds to the game.